Positive: Beautiful design; solid workmanship; long battery life; good price; fast system. Negative: Sim and microSD are on the same slot; slow charging. Positive: Nice display; good cameras; long battery life. Positive: Nice design; great built quality; decent cameras. Negative: No backlit keys; slow charge; poor display. Positive: Stylish design; solid workmanship; high autonomy. Negative: Old firmware. Positive: Compact size; long battery life; good price; support LTE. Negative: Poor display. Positive: Stylish design; good display; long battery life. Positive: Low price; decent display; long battery life; metal case. Negative: Poor selfie camera. Positive: Long battery life; quick charge; good hardware; metal case; fast fingerprint sensor; low price. Positive: Powerful hardware; long battery life; good price; nice display. Positive: High autonomy; decent hardware; metal case; good price. Negative: Mediocre design. Positive: Decent hardware; long battery life; good display. 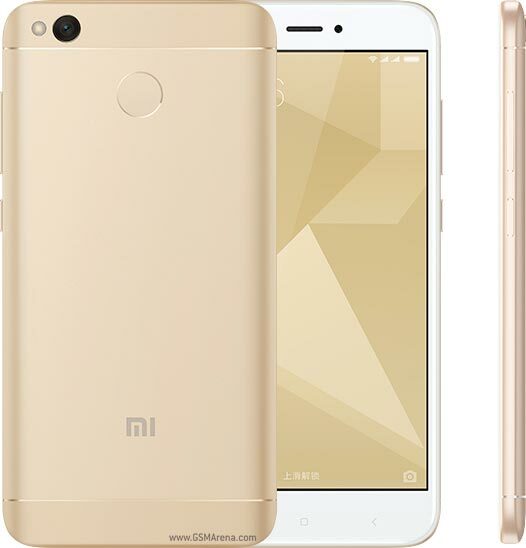 Model: Xiaomi has launched the Redmi 4X along with the Mi 5c and its brand new system on chip – the Surge S1 SoC. The price is obviously higher than many budget Chinese smartphones but does not make it any less interesting. There are two variants of the Redmi 4X which are 2 GB RAM + 16 GB storage and 3 GB RAM + 32 GB storage. However, the storage can be further expanded on both variants via microSD cards. The phones are available in Cherry Pink, Champagne Gold and Matte Black colors. The Xiaomi Redmi 4X is a particularly pleasing smartphone from the constructive and ergonomic point of view. The black colored variant almost completely hides its brand on the back, making it look like a smartphone "secret." It is small, handy and pleasant to touch thanks to its metal back that embraces the phone even on the sides. The Xiaomi Redmi 4X comes with a Qualcomm Snapdragon 435 SoC, which has an octa-core processor clocked at 1.4 GHz. The phone sports a 5-inch HD display with 2.5D curved glass. The Xiaomi Redmi 4X sports a slight change in the design language from the Redmi Note 4 and boasts of metal construction. There is a round fingerprint scanner on the rear side. On the camera front, there is a 13 MP rear camera with f/2.0 aperture, phase detection AF, LED Flash and a 5 MP front-facing camera with a f/2.2 aperture. Additional features like phase detection autofocus, LED flash, geo-tagging, touch focus, face/smile detection, HDR, panorama are also available. For the front camera, it has a 5 MP front shooter for selfies. The phone comes with a 5-inch touchscreen display with a resolution of 720 x 280 pixels. Thanks to IPS technology, the viewing angles of the display are quite wide. The display features a good automatic adjustment of brightness. The Xiaomi Redmi 4X runs on MIUI 8 and is powered by a non-removable 4100 mAh Lithium Polymer battery. With average use, it can easily last a whole day on a single charge. The personalized 8.2 MIUI features many themes that unlock many possibilities. There is also new apps that integrate new features, such as automatic task and optimization for gaming performance. It is also possible to block access to apps, accurately manage the permissions of apps and notifications, as well as one-handed mode. 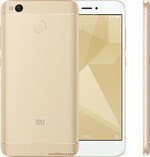 The Xiaomi Redmi 4X is a dual SIM (GSM and GSM) smartphone that accepts Nano-SIM and Micro-SIM. The Redmi 4x is a good upgrade to the already perfect Redmi 4. It hits all the right points with the right price tag.